And, Yvon Chouinard is also the founder of Patagonia, the outdoor clothing and gear company. For forty years, Yvon Chounaird has led Patagonia with his vision and passion. He is the driving force that keeps Patagonia true to its core values. As a result, Patagonia is a sustainable business practices leader. Recently, Patagonia changed its mission statement. This bold, focused, and purposeful mission statement is true to Chouinard’s core values. Patagonia is using its resources to get political about environmental threats and taking action in the fight to address our climate crisis. Let my people go surfing by Yvon Chounaird tells the story of Patagonia. It’s Chouinard’s story of building a business with heart and soul. It’s his story of challenging conventional wisdom. And, it’s his story of leading a simpler, more purposeful existence. Let my people go surfing is a great read for all who love the outdoors. It’s also a must read for entrepreneurs and forward thinkers. 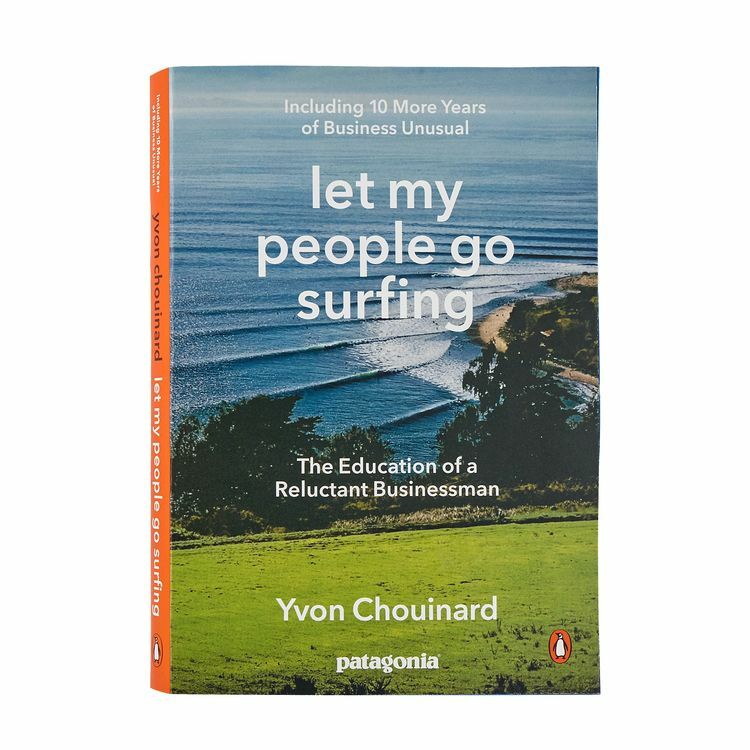 In conclusion, let my people go surfing by Yvon Chouinard provides a fresh outlook on finding opportunity in change, having a positive impact and making a difference one step at a time. To purchase and check out the video click let my people go surfing. Grabber Toe Warmers just got me (and my toes!) through a deep arctic front. I was teaching an avalanche course for the American Avalanche Institute—a Pro 1 course for ski patrollers at A-Basin and Breckenridge. A storm had recently left the region. This left room for an arctic air mass to descend onto Colorado, dropping the temps to -17˚F with a -46˚F wind-chill. Being ski patrollers, we were outside all day, digging holes to assess the snowpack’s structure and stability. I don’t have very good foot circulation to begin with. So, with -47˚F, I had a major problem. How was I going to keep my toes from freezing while teaching the course? Thank Grabber for Toe Warmers! Grabber’s little packets of chemical heat are amazing. Every morning, I took a pair of toe warmers out of theirpackage and set them gently on my dashboard while I was driving up to the ski area. 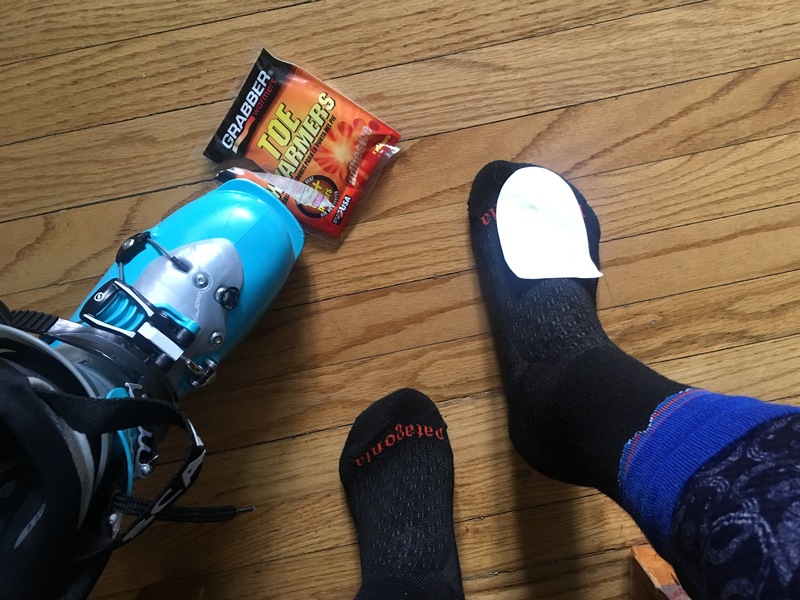 Before I put my boots on, I peeled the paper backing off and stuck them over my ski socks. I placed them on top of my toes, right over my socks. Then I slipped my worried little feet into my ski boots. The toe warmers generated enough heat to get me through the arctic days. To say that my toes were warm would be an overstatement, but they did not freeze! My toes and I made it through the coldest week of the year. I place the Toe Warmers on top of my toes so I don’t have a weird-layer under my toes. Stick the adhesive back diagonally across the top of your toes. Line up the rounded edge with the front of your toes, and the back corner over the middle part of your foot. It works like a charm! Is a skinny 5.9mm cordelette strong enough? Since a cordelette is almost always on my harness, my cordelette of choice is the Sterling PowerCord, 5.9mm in the 18ft length—the lightest, most compact cordelette that I can get my hands on. I use cordelettes primarily for rigging anchors (both single and multi-pitch). 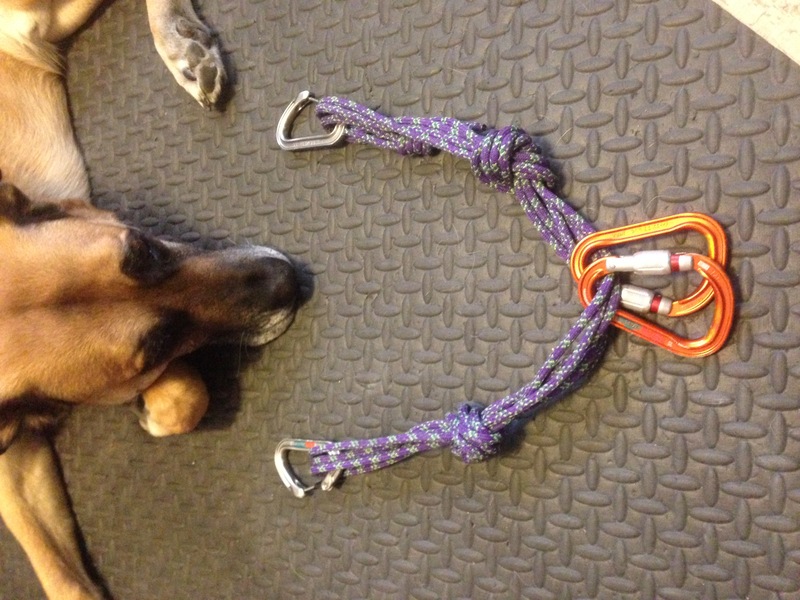 Learn more about Building Climbing Anchors and Quad Anchor in our blog. However, cordelettes are also useful for self-rescue. Sterling PowerCord isn’t just a normal nylon-type of cordage that you can buy for pennies by the foot at most climbing shops. PowerCord is special. It’s made of Technora, which is twice as strong as your standard nylon cord of the same diameter—this is why PowerCord can be 1-2mm skinnier than other cordelettes. In fact, the 5.9mm Powercord has a minimum breaking strength (MBS) of 4429 lbs or the equivalent of 19.7 Kn. That’s plenty strong for any anchor rigging I’ll be doing with it. High melting point. A high melting point is especially important for use in a rescue scenario. How do you get your hands on one of these? You can find it here on the Sterling Rope website, or ask at your favorite local retailer. I’ve had my hands on a lot of ice axes since climbing on Terrordactylsin the ‘80s. For me, choosing the right ice tool is hard to describe because it’s about feelings. It is about the emotion of the body, heart and mind. With the right tools, I feel joyful. I feel invincible. I feel ready and motivated for action. I feel strong and focused and fearless. The right tools have a balance and swing weight that makes intuitive sense. It is as if the tools become natural extensions of my arms. Looking for this feeling, in fact coming to expect it when I climb, I always find myself going back to Grivel tools. I swear I could put a blindfold on (with many different tools to chose from) and, guarantee, I’d pick Grivel. Deeply seated in my psyche is an undeniable connection that draws me loyally to Grivel. One of my most influential mentors, George Gardner, climbed on Grivel tools. I’ll always remember the way he so deliberately gripped the narrow shafts of his Mont Blanc’s with his frozen Dachstein mittens. My relationship to this most present and encouraging mentor instilled in me a connection to Grivel tools that is more than an extension of my arms, it is an extension of my heart. The truth is, the real essence of climbing is about our partners and relationships. George has passed now but when I climb with my Grivel tools, I am reminded of him. I feel as if his inspiring presence whispers through the mountains and I climb with focus and strength to meet the standard that he set for me. As I’ve personally become more aware of and committed to reducing my carbon footprint, I love that Grivel makes all of their products in the Alps of Italy. 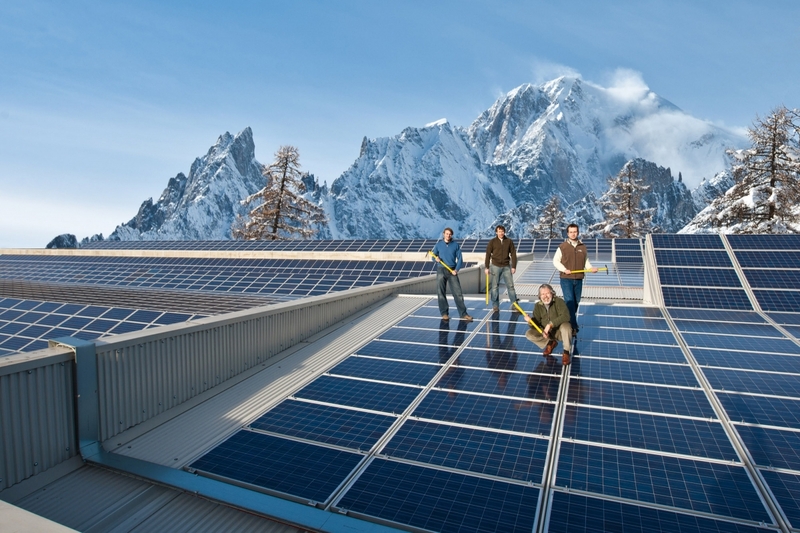 And at the foot of Mount Blanc, Grivel harnesses the power of the sun with solar panels the size of a football field. Every day Grivel saves 1000 barrels of oil and eliminates 1500 lbs of CO2 gases from entering the atmosphere because of their investment in renewable energy and environmental sustainability. Grivel’s committed action to the environment and addressing climate changematters to me. When I’m climbing with my Grivel tools, I think about this and I know I’m on a team turning our passion into purpose. In summary, I want to encourage you. When choosing the right ice tools for you, let yourself be swayed by emotion, feeling and intuition. If the tool feels right, it is. 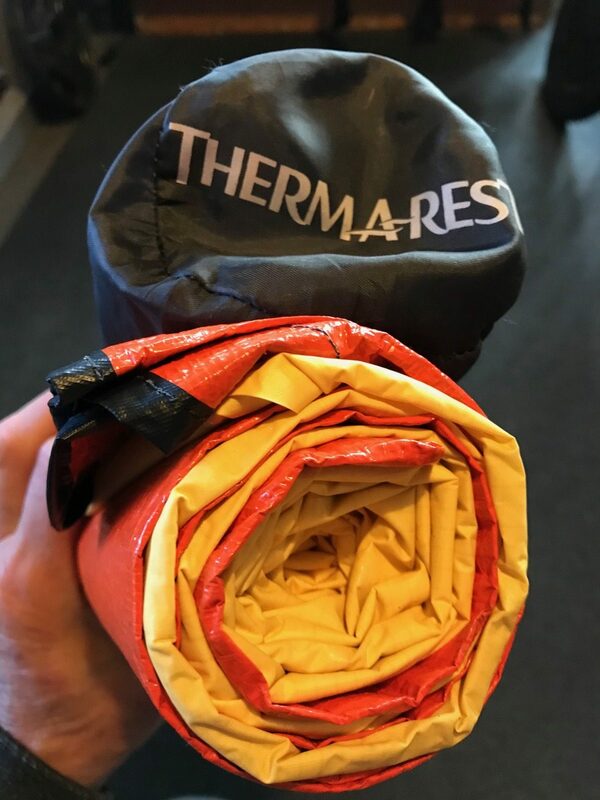 Grabher’s All Weather Blanket cut to the size of my sleeping pad and then all rolled up together. Looks like a jelly roll. Grabber, who we love for their little nuggets of BTUs packaged as hand and toe warmers, also makes an excellent emergency, all-weather blanket called All Weather Blanket. Originally developed for the NASA space program, this lesser-known jewel has been a part of my kit for decades. Although many folks shun “emergency blankets” as hokey, guides always carry some sort of shelter in their packs. In the winter, this might be as much as a rescue sled that doubles as a shelter. Mostly, though, guides carry at least a bivy sack or tarp in their packs. A bivouac or “bivy” sack or tarp can be useful, even life saving, in many situations. Think of a sudden summer thunderstorm or an unexpected early season snow combined with an unfortunately twisted ankle. Grabber’s All Weather Blanket stands out for its durability and versatility. 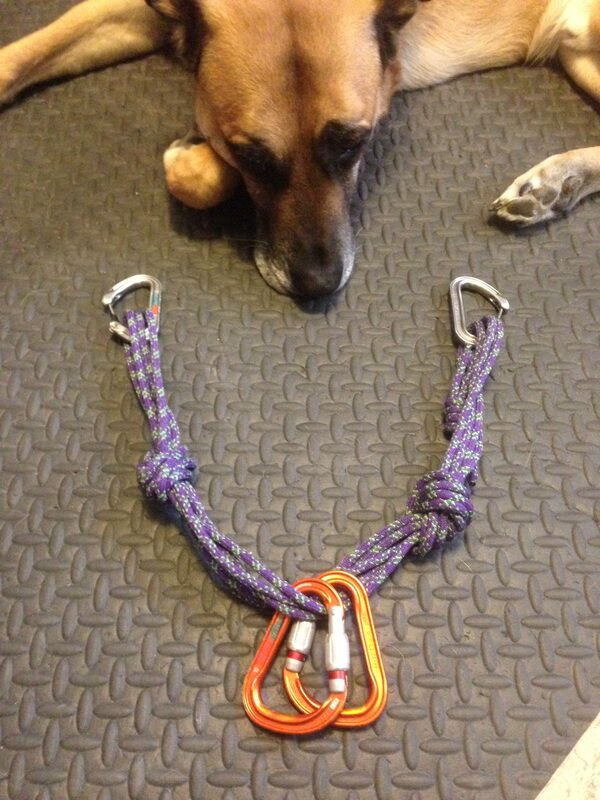 I use mine for a ground tarp when I sleep out under the stars and I sort my rack and flake my rope on it too. 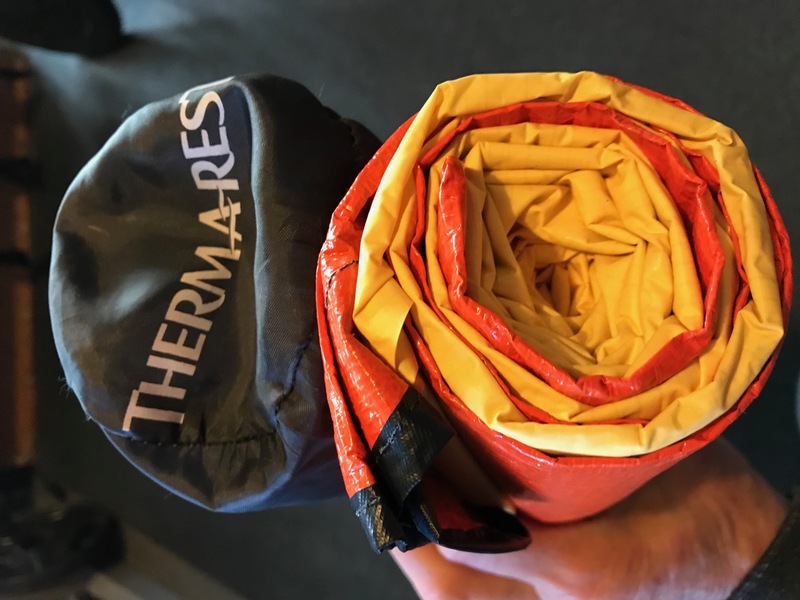 I use one in my winter and more minimalist kit, cut up to custom fit and protect my Neo Air Thermarest. Using an All Weather Blanket like this also provides additional insulation from the cold ground. But, if you’ve got a super light mattress, you know how vulnerable they feel even protected by your tent floor. So, grab a Grabber All Weather Blanket. Fit it to your mattress and you’ll have a multi-purpose tarp that’ll extend the life of your pad and help ensure a good night’s sleep when you need it most. Black Diamond’s Helio Collection is gear for alpinists and mountaineers who like to go fast and carry less. And just in time to catch the fresh snow in the mountains, Black Diamond has added lightweight bindings and ski mountaineering skis to their line. 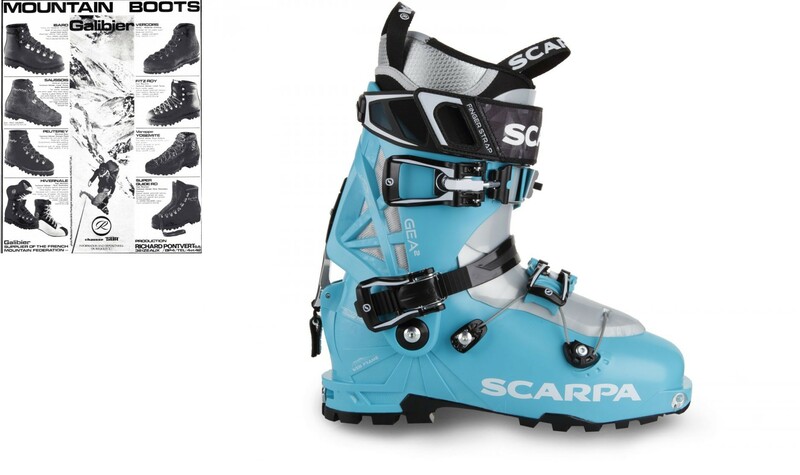 The Helio Bindings are a tech-like, ski touring binding made with durable metal parts. There are 4 different Helio models with the numbers corresponding to the weight of the binding. Helio 145—light enough for racing but will handle spicy descents better than the 110. The Helio Skis are ultra light, carbon ski mountaineering skis. The Helio Skis pair nicely with the Helio Bindings and you can match your ski and binding choice to your preferred skiing terrain. There are 5 different Helio Ski designs with the numbers corresponding to the size of the ski underfoot—in other words, the ski’s waist. Look for Black Diamond gear at our Chicks clinics, and expect solid performance from Black Diamond all winter long. As Chicks approaches its 20th anniversary, we stand on the shoulders of a giant, a company that has been in the business of making the tools we use to climb for centuries. This year Grivel celebrates their 200th anniversary. And Grivel just launched the first-ever helmet with a RECCO reflector. RECCO reflectors bounce back signals to RECCO detectors. A rescuer with a RECCO detector can follow the signal back to the reflector; in this case the helmet and the climber wearing the helmet. The RECCO reflector only adds 3 grams to the already uber-light Stealth and Stealth HS. These unique looking helmets are barely noticeable to the wearer but pack great protection. Historically, ice climbers haven’t worn transceivers or carried avalanche rescue equipment. Although a RECCO does not replace a transceiver, it adds a considerable safety margin for search and rescue. Ski areas, helicopters and mountain rescue teams are typically equipped with the RECCO system. 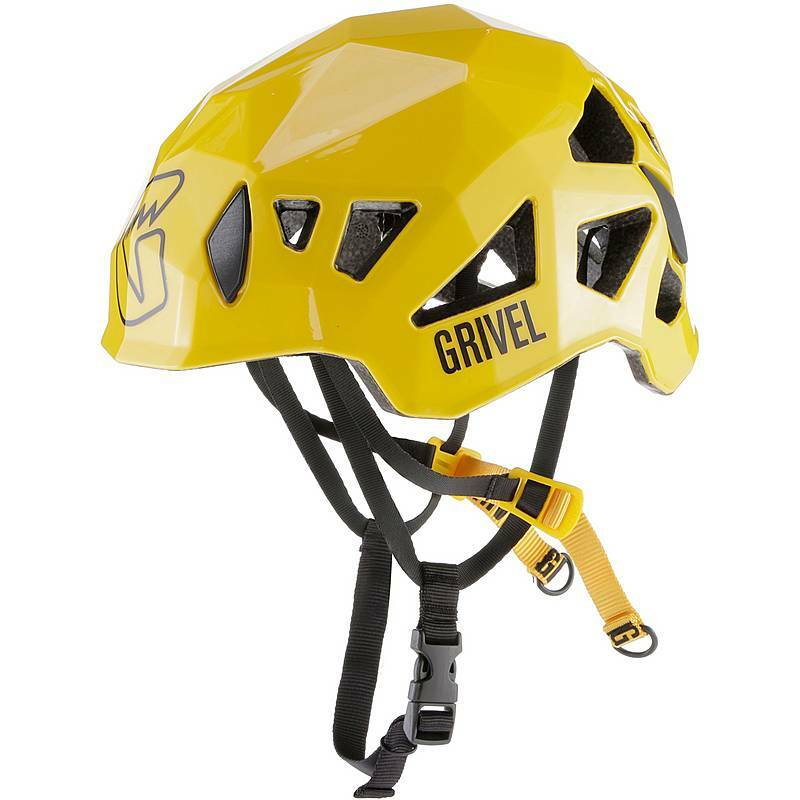 If you backcountry ice climb and/or alpine climb, this new piece of equipment from Grivel could help stack the odds in your favor. It’s a small additional investment for your safety kit. Chicks could not be more proud to partner with such a longstanding and innovative company. Our partners at Liberty Mountain are the sole distributors of Grivel in the U.S. Liberty Mountains lists the suggested retail price of the Stealth RECCO as a mere $119. Well worth the investment for this new tech brain bucket. Since the early 1900’s Petzl’s passion for exploration has led to many innovations transcending from the caving world up into the rock, ice, and ski mountaineering world. The Ergonomic functions as well on steep ice as it does on overhanging dry tool and mixed routes. The Ergonomic comes with a redesigned DRY pick, which has more aggressive teeth that taper from 4mm at the top to 3.2mm at the tip. A new over-molded, glass-filled, nylon handle makes the upper grip more durable. The unique lower grip is larger in diameter and it has flat sides. This design creates a higher volume contact area, which gives a more secure grip. The Nomic has long been the preferred tool for ice climbers. Now, this classic has been redesigned to be more durable and lighter. The Nomic comes with an enhanced PUR’ICE pick, glass-filled nylon, over molded, upper grip and lighter lower grip – shedding 20 grams from its predecessor. It also has an all-new, wider griprest. This griprest is also over molded with rubber and has a stainless-steel pick at the base. 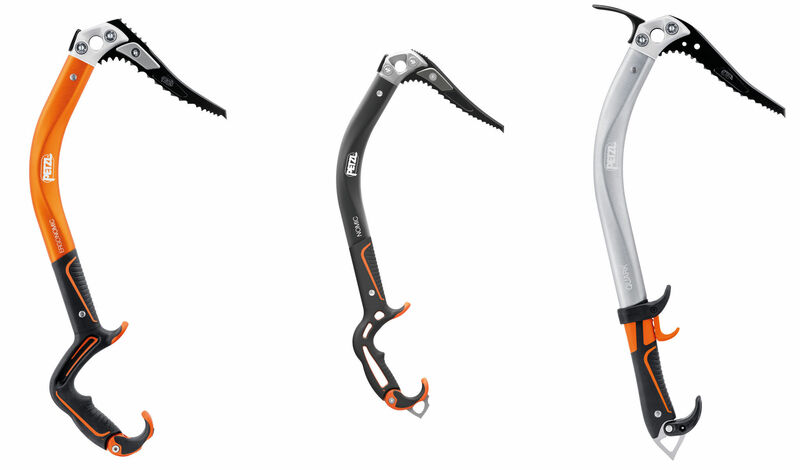 The Quark is Petzl’s most versatile ice tool—good for ice climbing and technical mountaineering. The lower handle is over molded with high friction rubber, and it’s designed to be flatter on both sides and front for better indexing and grip. At the base of the tool are a single stainless steel pick and a brand new, foldable grip rest. For my birthday this year my husband gave me an Osprey Women’s Sirrus 50 backpack. This was to replace a beloved pack he had given me 20 years prior. Initially I was reluctant. I was dubious about the Sirrus 50, especially when trying to determine my size. I’m 5’2” with a short torso. I loved my previous pack because it fit my small frame so well. After a lengthy time comparing the Women’s Sirrus small & extra small, I finally settled on the XS. Hands down, the Sirrus is the best fitting pack I’ve ever owned. Not only does it fit my torso perfectly, the internal frame is integrated into the hip suspension, which cups & contours my hips & arcs at my back. These innovative designs are my favorite features. The hip contour helps to distribute & stabilize the load. The arc allows air to flow between my back and the pack, keeping me cooler overall when carrying a load. I also like the pocket upfront. This pocket is specifically designed for a helmet and allows more room for gear in the main compartment. 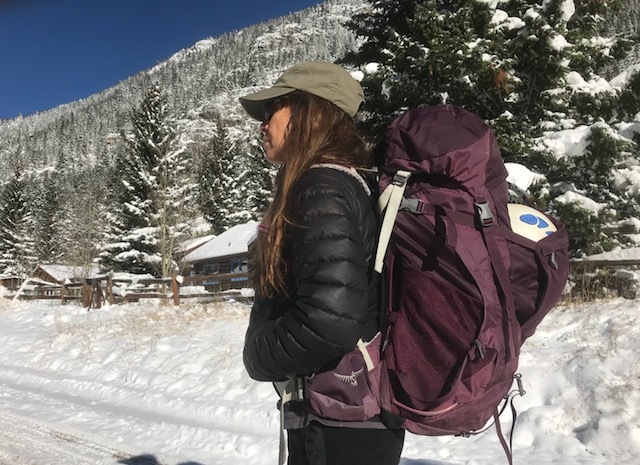 After a 20-year relationship with my old pack, now my new love is Osprey’s Sirrus 50.